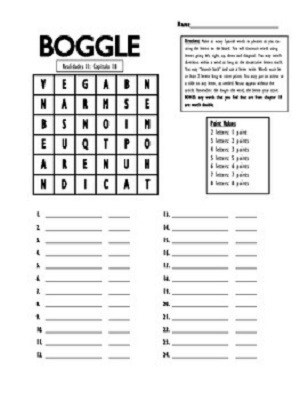 Enjoy these free Boggle templates to use in your classroom! The Rules for Boggle is simple, students use the 4×4 grid of letters to create 3, 4, and 5+ letter words. You can pick your own letters by editing the letter in one of these boggle templates after you printed it. Your students are able to then play Boggle right away.